You often see a stack of surfboards on the bow of a sport-fisher and a fishing rod tucked inside of a surf bag. Many anglers love to surf and vice versa. 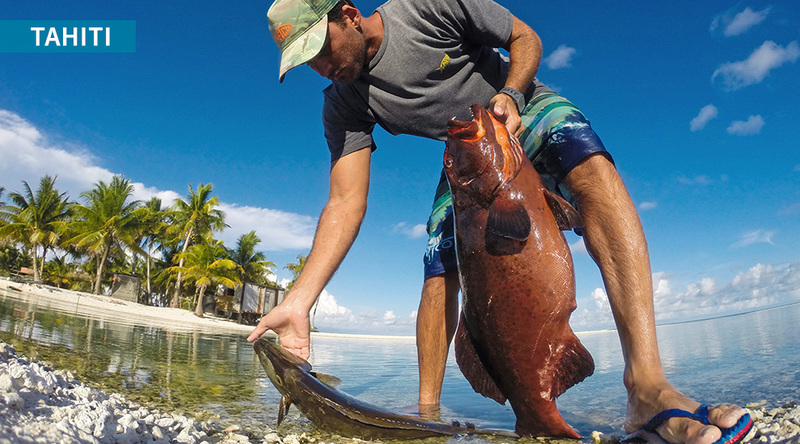 With that in mind, AFTCO presents 10 of the world's best locations to tangle with game fish and catch a few waves. Photo by Ryan Griffin. 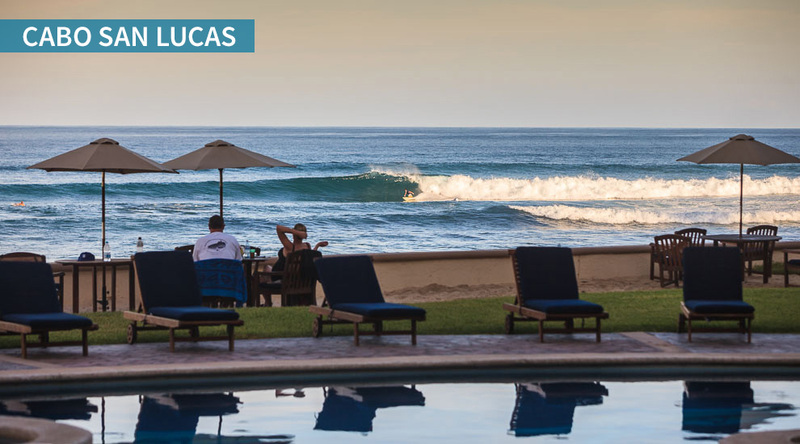 Cabo San Lucas, at the southern tip of Mexico's Baja Peninsula offers a wide range of surf breaks to enjoy a few waves on lay days or after a day's fishing. This shot was taken from Las Olas condos and shows Zippers, located on the Sea of Cortez side of the peninsula on a very nice day. Photo by Jeremiah Klein. 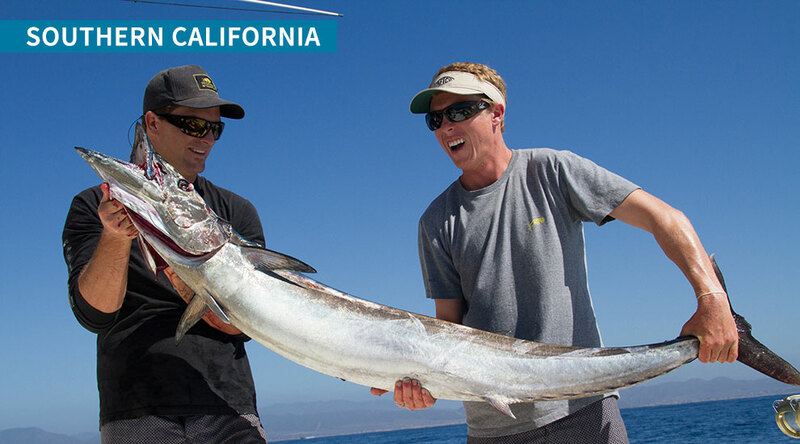 Cabo offers fishing options for anglers of all walks. You can rent a panga and go after some roosterfish or snapper, or you can head offshore and target striped marlin, sailfish, blues and blacks. There's always the potential of putting up some double-digit numbers off Cabo when the stripeys are biting. Photo by Mark Rayor. 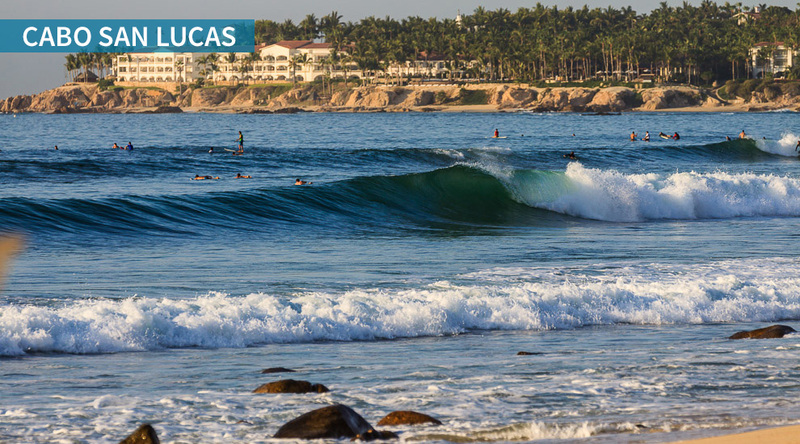 If you're new to surfing, Cabo is a great spot to learn. There are plenty of surf schools along resort row and the waves are big enough to give you a fun ride. Photo by Jeremiah Klein. 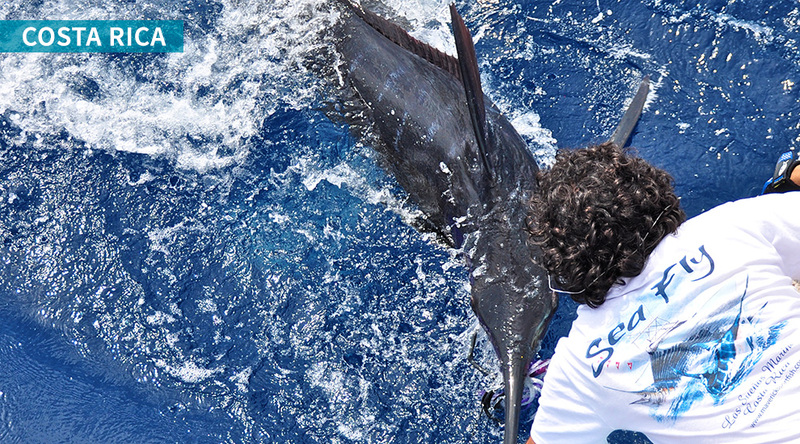 Costa Rica reigns as one of the world's top billfish destinations. 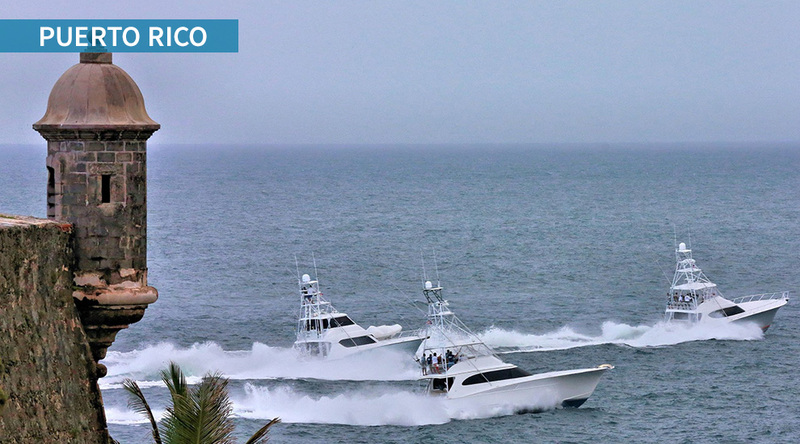 The 2015 Los Sueños Triple Crown tournament series accounted for 5,732 billfish releases in nine days of fishing! There's also a world-class blue marlin bite along the FADs offshore. Photo by Will Drost. It's not uncommon for boats to release 20 or more sailfish in a single day when fishing out of Carillo, Quepos, Los Suenos or Golfito. But you always want to be ready for a 500-pound marlin to show up in the spread! Photo by Will Drost. There is a laid-back surf vibe in most Costa Rican beach towns, but one of the more popular breaks is Pavones, located on the very southern border of the country. 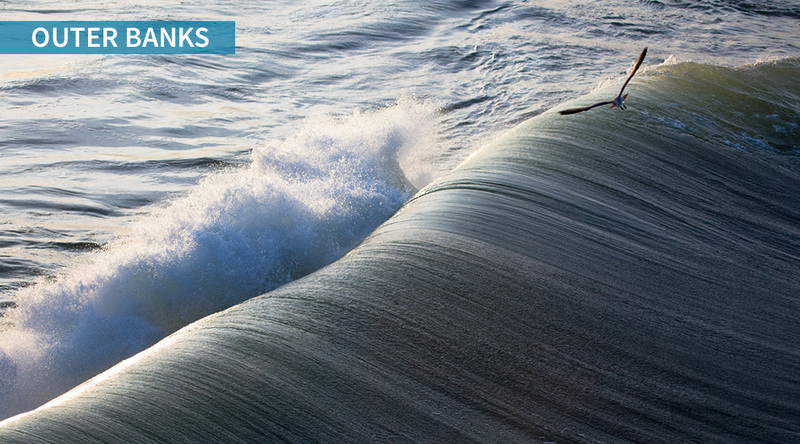 This is one of the longest left-hand breaks in the world. 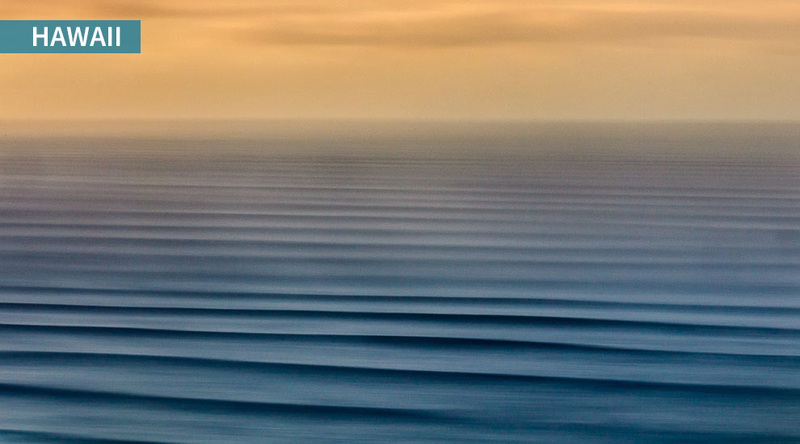 Catch the right wave and you'll be riding a five-minute leg burner. Photo by Brittany Castillo. 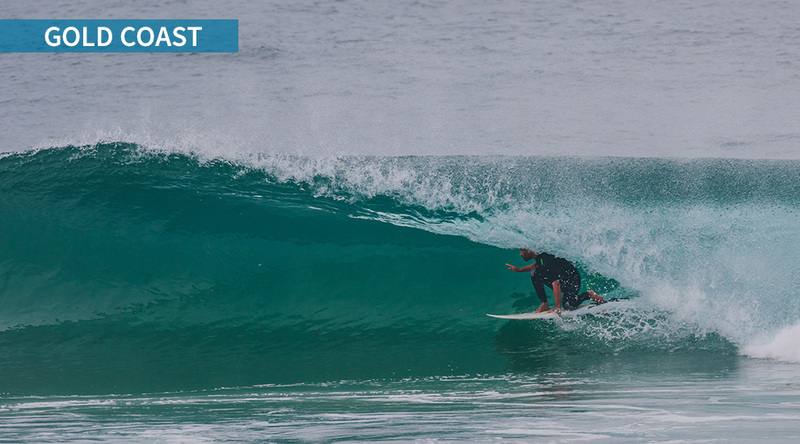 Because the Gold Coast of Australia is naturally curved, it offers very consistent waves. The best time of year to surf is January through July, which also happens to include some prime fishing. Photo by Jeremiah Klein. 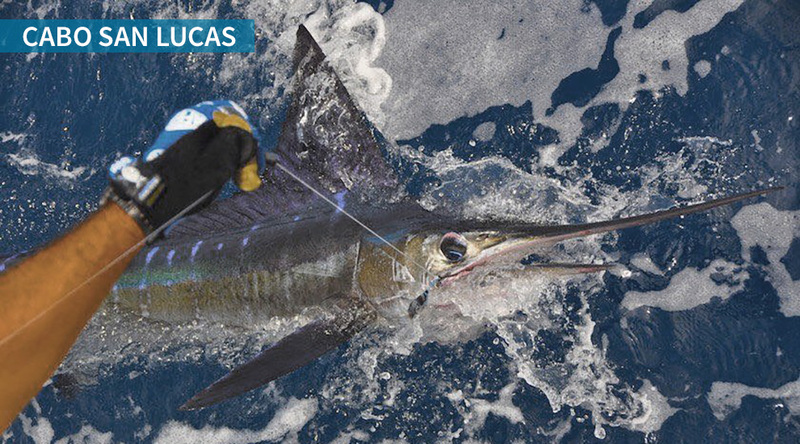 Anglers out of Gold Coast chase a wide range of game fish, including black marlin and tuna. 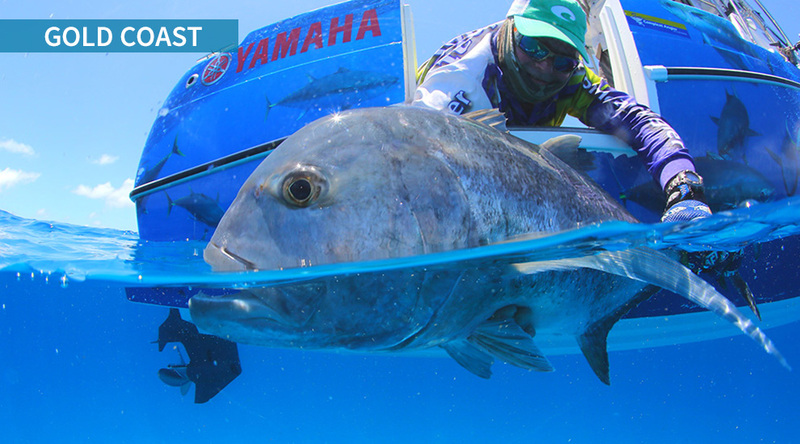 But if you're looking for a real thrill, try casting a popper on heavy spinning gear to a giant trevally and hang on with two hands. Photo by Al McGlashan. 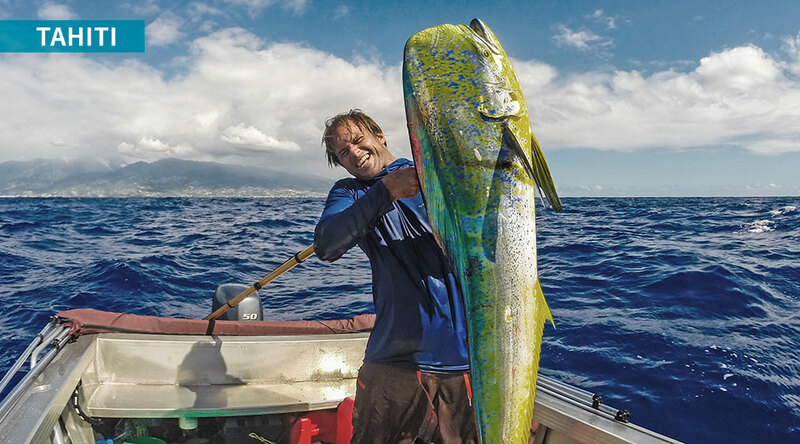 All of the Hawaiian islands offer up world-class surfing and fishing options. 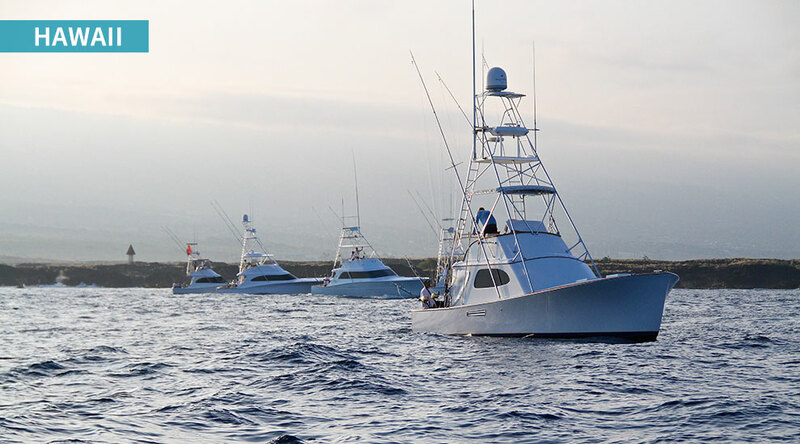 Kona, on the Big Island, is home to some of the sport's best blue-water captains available who catch grander marlin every season. But don't write off Oahu. 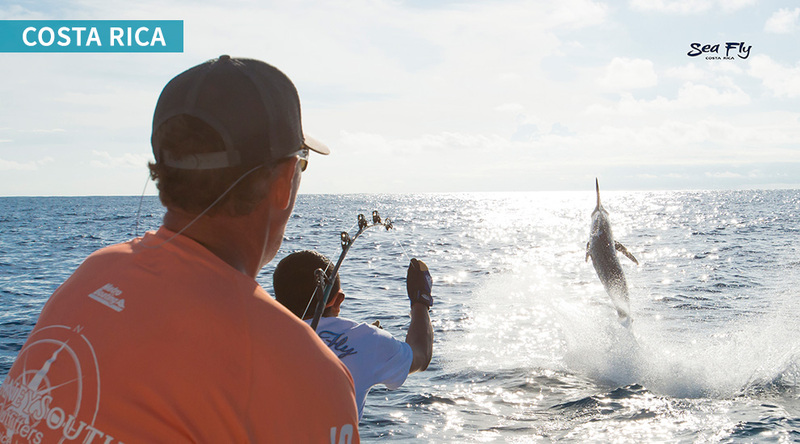 There are lots of billfish, wahoo and tuna waiting to give you the fight of your life. Photo by Bryan Toney. The charter fleet in Kona is one of the best in the world. These crews are experts at trolling lures for big blue marlin. They can also put you on monster ahi (yellowfin) and ono (wahoo). If you're looking for a possible grander and a few good waves, head to the Big Island. Photo by Ryan Griffin. Pick your wave. This photo shows what Hawaii's legendary Pipeline looks like to a high-circling frigate bird. Photo by Jeremiah Klein. 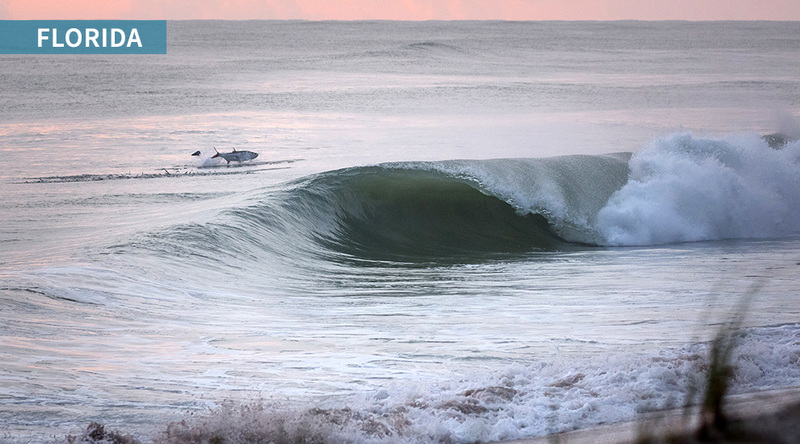 The weather-driven swells off of North Carolina's Outer Banks are no joke. When conditions come together you can score overhead waves. Photo by Chris Frick. The surf along the Outer Banks is also home to one of the best striped bass (aka rockfish) bites you'll find when the migration turns on. It's not a bad idea to bring a surf rod as well as your surfboard. Photo by Chris Frick. Offshore anglers flock to the Outer Banks every summer to try their hand a landing a big payday in the Big Rock or Pirate's Cove tournaments. 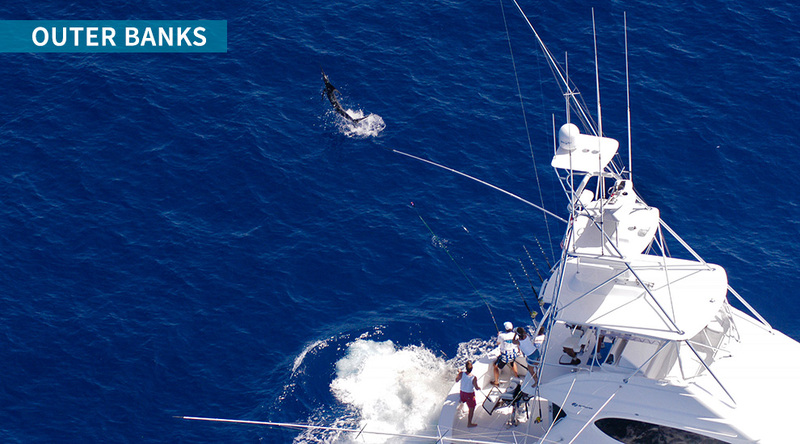 In this photo, AFTCO's Bill Shedd is tangling with a tail-walking blue marlin aboard the Hatterascal. The run from San Juan, Puerto Rico, to the edge is just a few miles. You can catch respectable blue marlin within site of land. Photo by Richard Gibson. 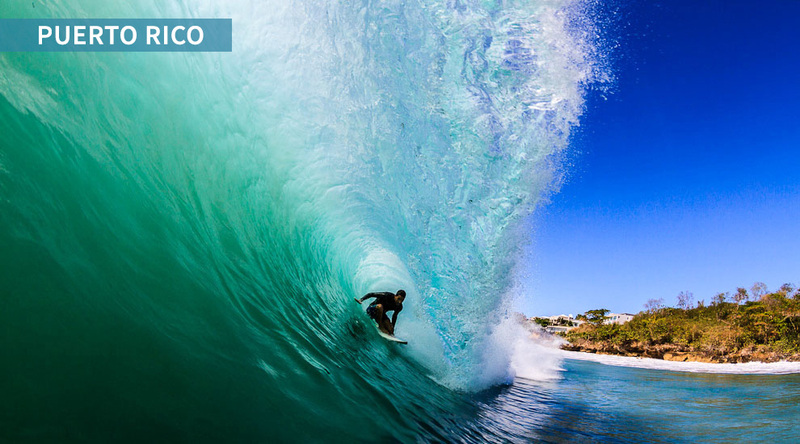 Rincon, on the western coast of Puerto Rico, is perhaps the best known surf spot in the Caribbean. The offshore fishing potential out of western Puerto Rico is also huge. The waters between the D.R. and Puerto Rico is known as Mona Passage and it's a marlin highway. Photo by Jeremiah Klein. South Africa offers anglers a bit of everything from yellowfin tuna, marlin, sailfish and even swordfish on the offshore grounds to a variety of bottom fish and beach dwellers. 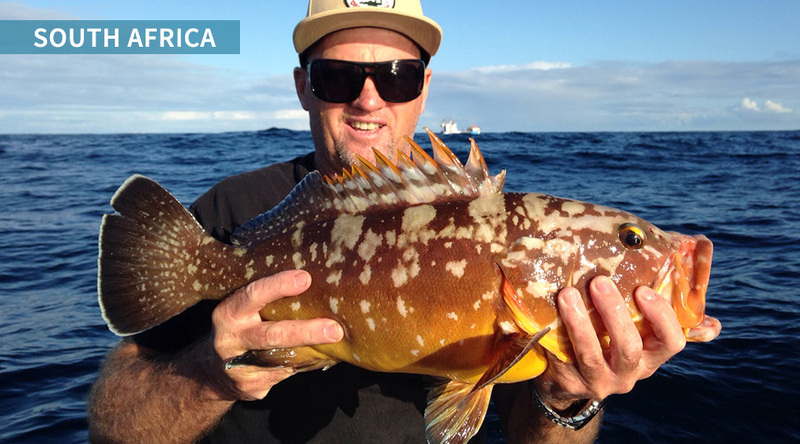 This yellow-belly rock cod gave Gavin Spowart a nice battle. Photo by Ross Spowart. 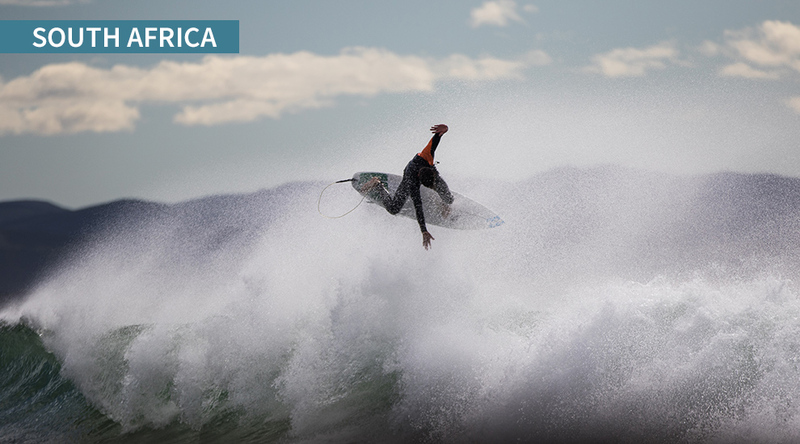 Jeffreys Bay on the eastern cape of South Africa has one of the best righthand breaks in the world. You can start at Boneyards and finish all the way down at The Point, which is more than a kilometer. Photo by Daniel Dedekind. If you want big waves and big fish, book a flight to Tahiti. The reef break at Teahupo'o is home to some of the world's biggest waves. Photo by Jeremiah Klein. The blue marlin potential in Tahiti is endless. There have been many granders caught in these waters and if there were more sport boats here, we'd hear a lot more about big marlin caught in these waters. If you just want to load the cooler with dinner, well that can be done in a matter of minutes. Photo by Oliver Emsallem. You can always score some meat fish in Tahiti. Reef dwellers and bottom fish are a favorite with spear fishermen, when they're not surfing... Photo by Oliver Emsallem. The charter fleet out of San Diego is one of the largest in the world, specializing in multi-day yellowfin tuna trips. You'll also catch yellowtail, dorado and in El Nino years, wahoo too! Photo by Ryan Griffin. Located adjacent the west jetty at Newport Harbor in Orange County, California, the Wedge is usually biggest in late summer and fall. 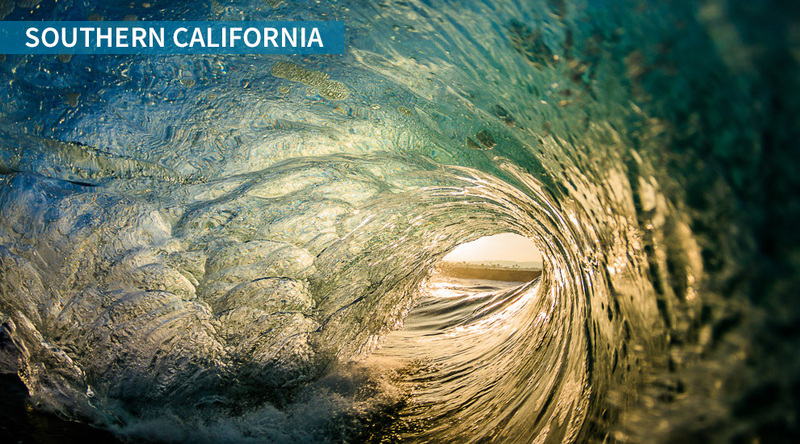 This thick wave can produce impressive barrel rides for experienced surfers. Photo by Jeremiah Klein. 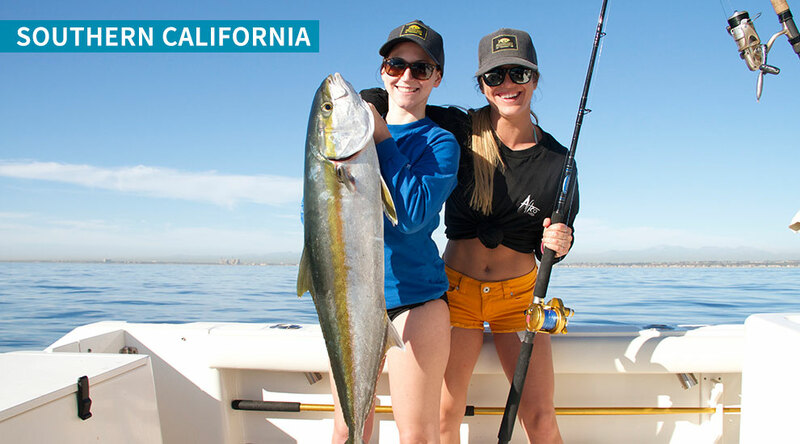 California yellowtail are a staple offshore game fish for So Cal anglers. Great fighting and delicious at the table, yellowtail can be found hanging around kelp paddies or structure. They're a blast on light tackle. Photo by Ryan Griffin. 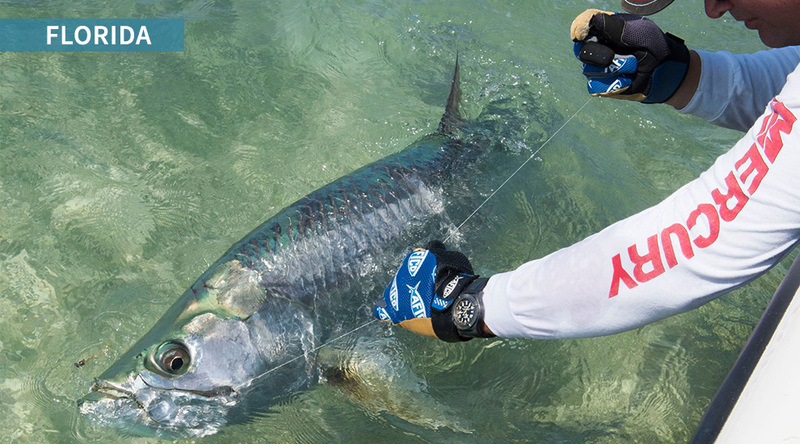 The east coast of Florida is arguably the most diverse fishery in the United States. You can find sailfish, mahi, tuna, kingfish, snook and redfish, but one of the most unique game fish in the state is the mighty silver king, the tarpon. 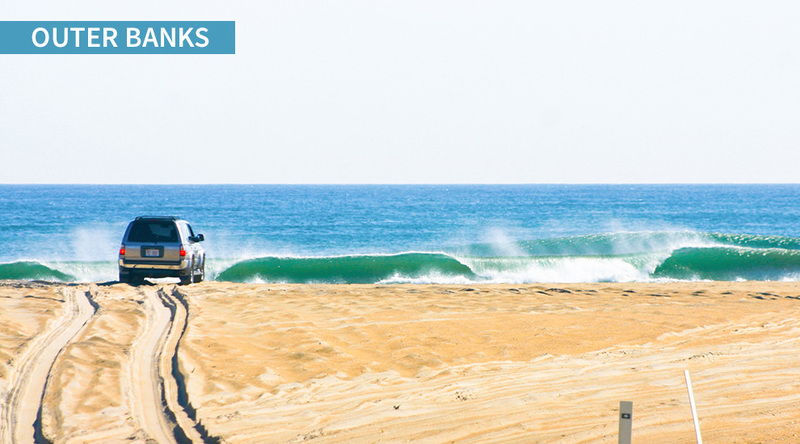 When big storms move past, you'll also find a long list of surf spots. Photo by Steve Lamp. The stretch from Cocoa Beach to Sebastian Inlet is one of the most popular areas to hit when a hurricane approaches. If the storm coincides with the annual mullet run, you could actually catch a wave and big tarpon within a few feet from one another. 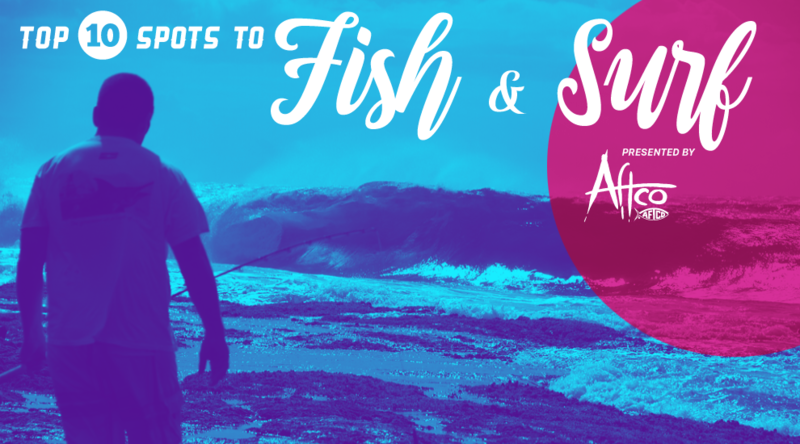 Wherever your surf or fish adventures take you, AFTCO offers all of the apparel you'll need. Photo by Jason Hines.